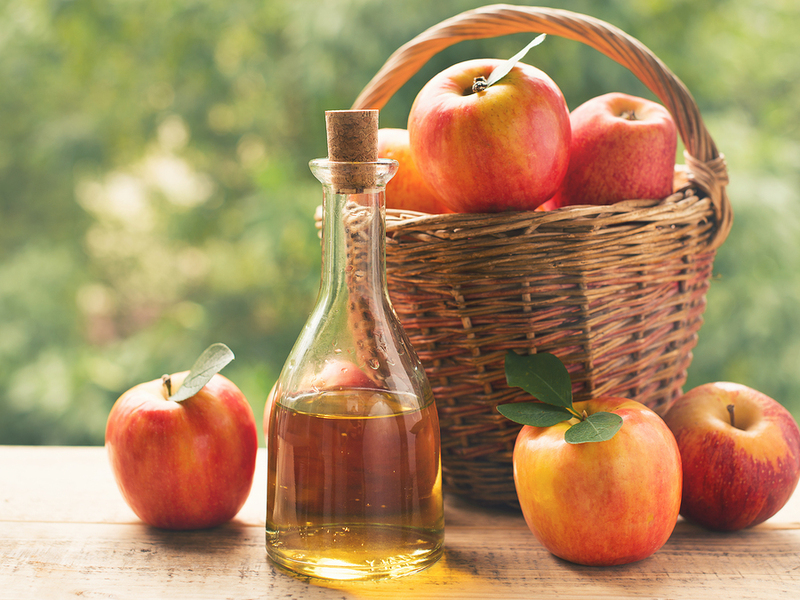 Over the years, the media has paid lots of attention to apple cider vinegar (ACV) and for good reason. An ancient health remedy, it’s known as a panacea for what ails us, aiding in weight loss, managing blood sugar, reducing cholesterol, lowering cancer risk, supporting digestion, and facilitating natural detoxification. It was used by Hippocrates as an antibacterial cleanser for wounds and has a long history of use by holistic physicians, particularly for its natural antibacterial properties, stemming from its fermenting process. ACV is produced by fermenting the natural fruit sugar in crushed apples (or cider) into alcohol. Specific strains of bacteria are added to the alcohol, creating enzymes and acetic acid – the active compound in any vinegar. Acetic acid can destroy bacteria or prevent it from multiplying and spoiling foods. Probiotics and other plant compounds in ACV may help support immunity. For those who like to keep things natural and chemical-free around the home, ACV has many other uses, including conditioning the hair, cleansing the skin, gargling to soothe sore throat, and as a household cleanser. Whether you are making ACV at home or buying from a store, the dilution ratios vary depending on whether you’re adding it to water or tea, using it to wash food, or for cleaning around the house. Because ACV contains a pungent acid, these ratios should be discussed with your doctor. Improper mixing can result in stomach upset, reflux, or aggravation of preexisting digestive or skin condition. Most importantly, do not drink undiluted ACV.